Schmidt faces 11 felony counts in connection with VW's nearly decade-long effort to subvert U.S. environmental regulations. DETROIT -- A federal judge set for April 18 in Detroit the trial of a former U.S.-based Volkswagen executive charged with crimes related to the company's massive diesel-emissions scandal, but the defense indicated it may seek a postponement. Oliver Schmidt, who was the chief of Volkswagen Group's environmental and engineering center in Michigan, faces 11 felony charges that could put him in prison for up to 169 years if he is convicted. Volkswagen is set to plead guilty on March 10 in Detroit to three felony counts under a plea agreement to resolve U.S. charges it installed secret software in vehicles to enable it to beat emissions tests. The scandal became known to the public in the fall of 2015. The U.S. Justice Department has said that the company realized in 2006 that it could not meet tougher U.S. emissions rules. 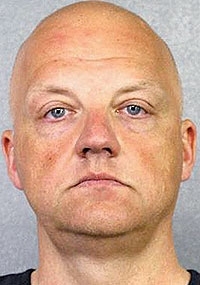 Schmidt was one of six former or current VW executives indicted in January but the only one in the U.S. at the time of the indictments. He was arrested on Jan. 7 at Miami International Airport in Florida. Schmidt would be the first VW employee or executive to go on trial in the scandal. Another former U.S. employee, James Liang, was charged in September. He pleaded guilty at the time to misleading regulators about diesel emissions and agreed to cooperate with the investigation. Schmidt's attorney, George Donnini, asked U.S. District Judge Sean Cox if he could argue for another trial date because, he said, there was much discovery work to be done before trial, but Cox sternly disallowed the request. If the defense wants a change in the trial date, it should file a motion with the court, Cox said. Donnini would not comment after Wednesday's brief hearing. Cox also set a bond hearing requested by the defense for March 16. Schmidt is being held without bond. Schmidt appeared at the hearing in a bright orange jail jumpsuit with "SANILAC COUNTY" printed on back. He is being held at a jail in the county north of Detroit. The former executive was shackled at the ankles and waist, which a court official said was the policy of the federal courthouse in Detroit. According to court documents, Schmidt's lawyers have argued that he is just a small player in a large scandal and that he has cooperated with authorities. German prosecutors on Jan. 20 searched Schmidt's house, which could indicate that he may face charges in that country as well. VW has agreed to spend up to $25 billion in the U.S. to address claims from owners, environmental regulators, states and dealers and to make buyback offers of its diesel-powered vehicles involved in the scandal.